According to a recent study of small businesses in the US, 50.3% are either somewhat, very or extremely likely to participate in an online deal in the next 6 months1. Couple this with the fact that according to Nielsen; 31% of mobile shoppers that have used a mobile coupon, obtained that coupon from a daily deal site and it is fairly obvious that the “daily deal” craze started by Groupon and others, is far from waning. However, there is another statistic that is troubling to us here at Lantern. The fact that only 55-61% of merchants offering those deals actually make any money!2 We are clueless as to why any business would make an offer or run a deal, whereby they made little to no profit. It makes no sense from a business standpoint and certainly does nothing to enhance the relationship between the customer receiving and the business making the offer. It is bad business primarily because that customer will only expect the same deal next time and when the business no longer offers it, the customer will seek it elsewhere. Yet we see this scenario play out time and again online as businesses offer 50% off or more through a major deal site like Groupon or Living Social, pay half of the revenue to the deal site, then pay their cost of goods sold from their half and are left with little or nothing! That is why we built it differently at Lantern. So different in fact, we have been called the “Un-Groupon”. Pay a flat $35 per month fee for the ability to have a robust, mobile loyalty program and also have the ability to offer “deals” via the most accepted communication device in the world – The Smartphone – and keep ALL the money from the deal. No split with Lantern, no margin to kick back, just a simple offer to your customers at a profit that is more in line with your brick and mortar business model. Lantern’s loyalty program is a smart way to keep in touch with your customers, add new ones and maintain control over the expense and efficacy of your marketing efforts. 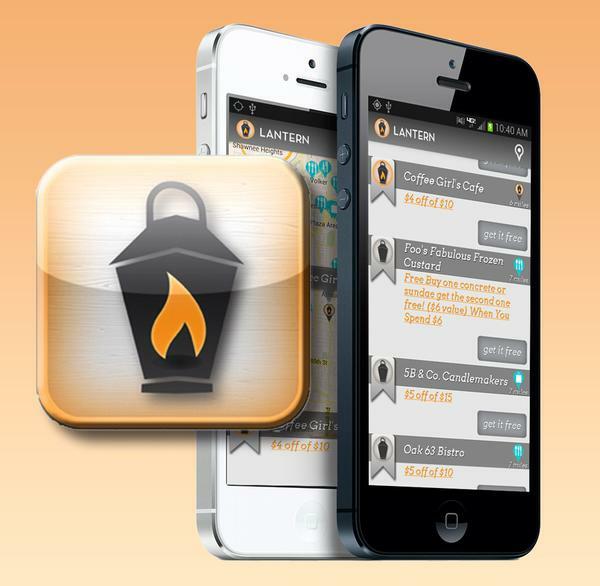 Every time somebody downloads the Lantern app at your business, they become part of your growing loyalty program. 500, 1000 or even 5,000 strong, your customer base is yours to market to, offer incentives to and provide valuable information about your business and what it means to them. Smartphone use today is on a meteoric path to complete saturation. According to Edison Research, 62% of online deal users became so in the last two years. This is probably tied to the huge rise in Smartphone ownership. Consider this; 89% of Americans now own mobile phones over half of them are considered “smartphones”. 80% of smartphone owners have location-based capabilities and half of them use location-based services that provide offers, discounts and specials based on their current location. This is Lantern territory and any business that uses Lantern as a way to reach those consumers will obviously have tremendous advantage over those who do not. We may be biased, but at just $35 per month, the Lantern Local Loyalty app and the tools and services available to manage the relationship between YOU and YOUR customer, seems like money well spent. For more information on how to start growing and managing your customer base through mobile with Lantern, go to www.lanternlocal.com and click the Merchant Log In link. A few simple steps will take about five minutes and you will be on your way to tapping into the vast world of mobile marketing to your existing customers, building relationships with new ones and outside of a simple $35/month fee to Lantern, doing it all without sharing the profits with anyone!